Natural disaster is an unexpected incident that causes extensive demolition that brings a lot of collateral damage of life and natural resources. A natural disaster might be caused by earthquakes, flooding, volcanic eruption, landslide, hurricanes etc. In order to be classified as a disaster, it will have intense ecological effect and/or human loss and often incurs financial loss. The world’s worst natural disasters have claimed many lives and have caused millions in property damage. Earthquake occurs of 7.0 with 8.3 miles depth rocked Haiti on Jan 12, 2010. Its epicenter was located just southwest of Port-Au-Prince with 59 aftershocks ranging from 4.2 to 5.9 magnitudes in strength. The strongest earthquake to hit the country since 1770, it led to over 200,000 deaths, 2 million homeless, and 3 million people who need emergency aid. At least US $195 million have been given with another US $120 million guarantees from different countries, along with a large number of aid workers to help with rescue actions. In 2005 earthquake in Pakistan registered 7.6 on the Richter scale with an epicenter in Kashmir near the city of Muzaffarabad. It occurred on October 8, 2005 morning, the official death toll was nearby 75,000 people along with 106,000 injured. The severity of the damage was attributed to poor building constructions. Over US $5.4 billion in aid arrived from all over the world to help for rescue. 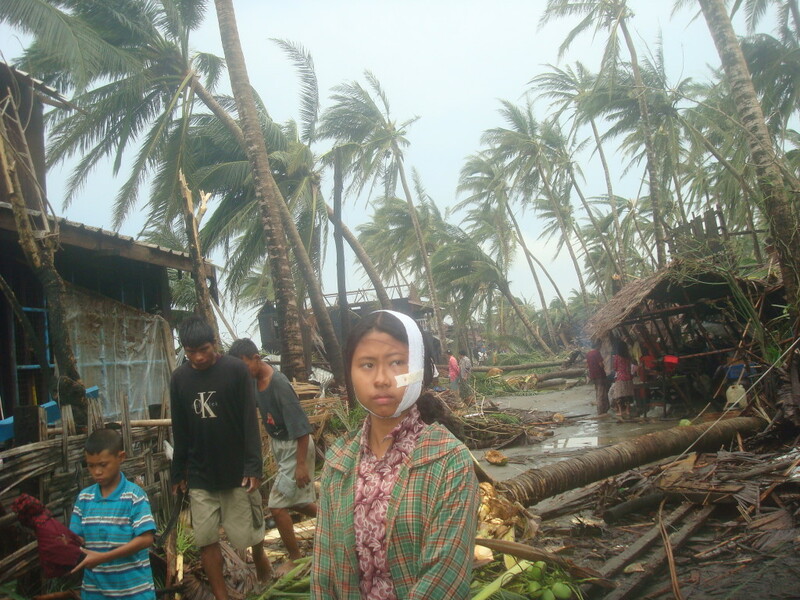 First cyclone hit northern Indian Ocean in 2008, Cyclone Nargis made landfall in Myanmar and distressed the region along with its 37 townships for two days. Official figures showed that 84,500 people were killed with 53,800 missing closely. An equivalent of a category 3 or 4 hurricane on the Saffir-Simpson scale, it led to numerous storm surges and flooding. One of the deadliest hurricanes to hit the Gulf Coast, it was ranked as the sixth strongest overall to hit the United States. It was also one of the costliest natural disasters over $81 billion predictable property damages. Indian Ocean Earthquake was magnitude of 9.15, and occurred on 26 Dec. 2004. Throughout this earthquake a tsunami caused only in 10 seconds which killed from 200,000 to 310,000 people along the coast of Indonesia, Sri Lanka, South India, and Thailand with one death even occurring at Port Elizabeth in South Africa, 8,000 miles away from the epicenter. The Great Tangshan earthquake strike China on 28 July, 1976 causing the death of 240,000 people and injuring 164,000 more. Considered as the deadliest earthquake of the 20th century, it also rocked, both literally and politically, the seat of the Chinese Communist Party in Beijing. The 7.8 earthquake wipe out the city of Tangshan and was caused by the 25 mile long Tangshan Fault, which runs near the city. This stratovolcano holds the division of causing the second largest volcano related disaster of 20th century. The volcano shaped a massive flow that buried and devastated the town of Armero in Tolima on 13 November, 1985, it caused the death of 25,000 people. Hurricane Andrew was created by a steamy wave that moved to the west coast of Africa on 14 Aug., 1992. During the next few days, it developed into a critical steamy cyclone. The storm was responsible for 65 fatalities and US $26 billion in property damages. Hurricane Andrew is the 5th costliest hurricane in USA history after Katrina, Wilma, and Ike hurricanes. The most deadly earthquake in history, the Aleppo earthquake occurred on October 11, 1138 and it was named after the city of Aleppo in Syria, which called Halab now. Its death toll was approximated at 230,000 as the city was damaged along with its adjacent areas. Tōhoku Earthquak A 9.0 – 9.1 magnitude quake pursued by a tsunami strike the east coast of Japan on 11 Mar., 2011. With an underwater depth of 29 km, this was the largest earthquake to ever strike Japan. Tōhoku Earthquak Recognized as the 4th most powerful earthquake in the world, it was responsible for the death of 15,894 people, 6,152 injured and 2,562 people lost. It also affected 20 prefectures, with over 127,000 buildings entirely damaged and over 272,000 buildings half distorted. The earthquake also caused a near nuclear disaster when there was a partial reduce in 3 reactors of the Fukushima Daiichi nuclear power plant, which is the 2nd largest nuclear disaster after Chernobyl. Haiyuan Earthquake is the 4th most horrible earthquake ever recorded. Death toll of 240,000, this earthquake occurred in 16 Dec., 1920. Its epicenter was located in Haiyuan County, in the Ningxia Province of China. The third worst earthquake disaster in the world is Antioch Earthquake which happened in the year 526. No specific date on record, it’s considered that it may have strike late in May between the 20th and 29th. This major earthquake strike Syria and Antioch. The death toll in this earthquake was between 250,000 to 300,000. Reaching wind speeds of 185 km/h, the Bhola Cyclone in Bangladesh led to over US $490 million in damages, wiping out 85% of homes in the area. It also brings storm pitch that wiped out entire villages, killing 45% of the population in Tazumuddin. Almost 500,000 people died during that cyclone. With magnitude of 6.3 earthquake occurred on February 22, 2011, severely destructing New Zealand’s second largest city. It killed 185 people, 238 were recorded missing, and 164 people were treated for injuries. One of the nation’s deadliest disasters, which caused large damage to Christchurch and the central Canterbury area. Total estimated US $16 billion worth of damages incurred, even though it was of lesser strength than the 7.1 magnitude earthquake that strike Canterbury six months earlier on September 4, 2010. First wave of the Spanish flu, which is one of the several types of influenza viruses, began around March 1918 and it spread throughout Asia, Europe, and North America. A transmittable illness, it was responsible for the death of 20 million to 40 million people, though other estimates range from 40 million to 100 million people. The Black Death was a natural disaster and was a pandemic and swept through Europe from 1348 to 1351 and killed an estimated 25 to 60% of Europe’s population. Some approximates were higher which would mean between 75 million to 200 million people. Also known as “the Great Mortality” or “the Pestilence,” it was the second plague pandemic of the Middle Ages, next only to the Justinian plague in the 6th century. The terrible lack in 60 years, the Horn of Africa experienced a severe dearth starting in July of 2011. There was an expected 12.4 million people in need of food. 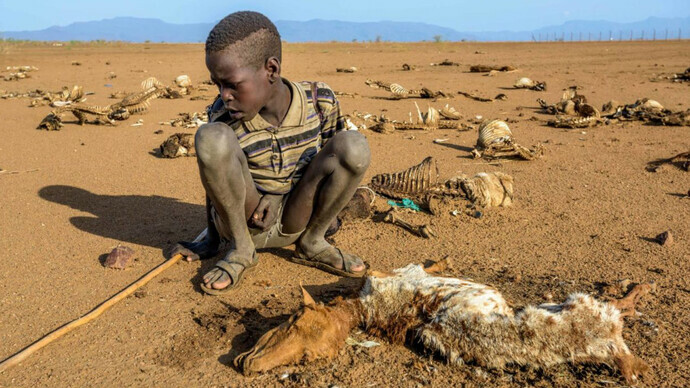 It resulted in a food crisis across Kenya, Somalia, Ethiopia, and Djibouti. It threatened the livelihood of more than 9.5 million people and caused widespread death and famine. The Great Galveston Hurricane, known as the Great Storm of 1900, and was the deadliest natural disaster in U.S.A history, one of the deadliest hurricanes to affect Canada, and the fourth-deadliest Atlantic hurricane overall. The hurricane left between 6,000 and 12,000 victims in the United States.The number most cited in official reports is 6,000. Most of these deaths occurred in the vicinity of Galveston after storm surge inundated the entire island with 8 to 12 feet of water. In addition to the number killed, every house in the city constant damage, with at least 3,636 damaged. About 30,000 people in the city were left homeless, out of a total population of nearly 38,000. The disaster ended the Golden Era of Galveston, as the hurricane alarmed potential investors, who turned to Houston instead. The Gulf of Mexico shoreline of Galveston island was subsequently raised by 17 ft and a 10 seawall erected. Earthquake hit San Francisco coast of Northern California on April 18, 1906 with an estimated moment magnitude of 7.9 and a maximum Mercalli intensity of XI (Extreme). High strength shuddering was felt from Eureka on the North Coast to the Salinas Valley, an agricultural region to the south of the San Francisco Bay Area. Disturbing fires soon broke out in the city and lasted for several days. Thousands of homes were dismantled. As a result, up to 3,000 people died and over 80% of the city of San Francisco was damaged. The events are remembered as one of the worst and deadliest earthquakes in the history of the United States. The death toll remains the greatest loss of life from a natural disaster in California’s history and high in the lists of American disasters.